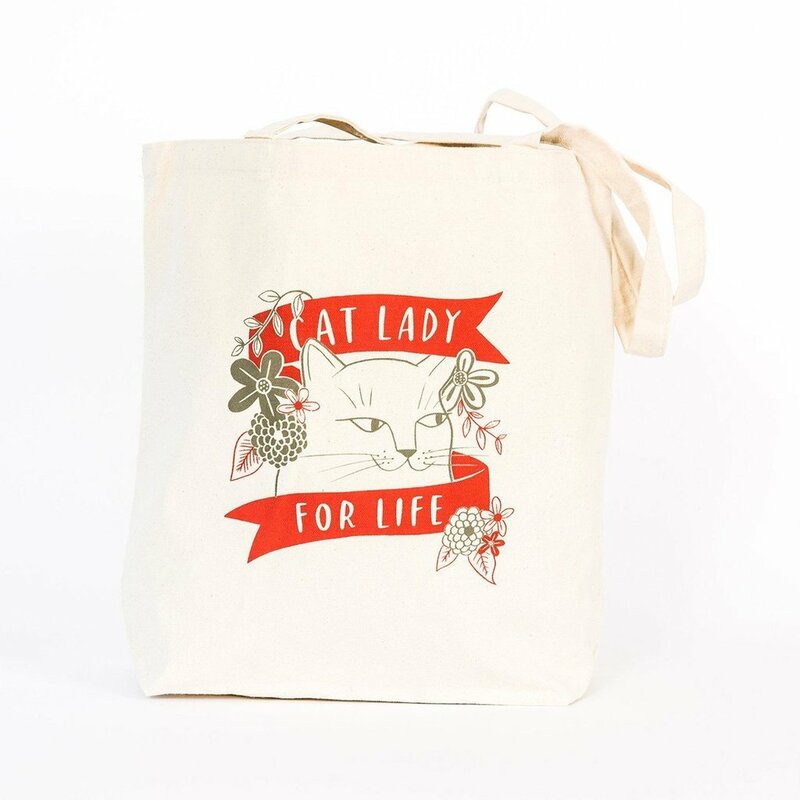 Show your feline pride with our large, sturdy, screen printed canvas tote. You can really fit a ton of heavy crap in here: books, your laptop, gym stuff, or a 12-pack of beer will all be right at home. We don't recommend you carry actual cats, though.